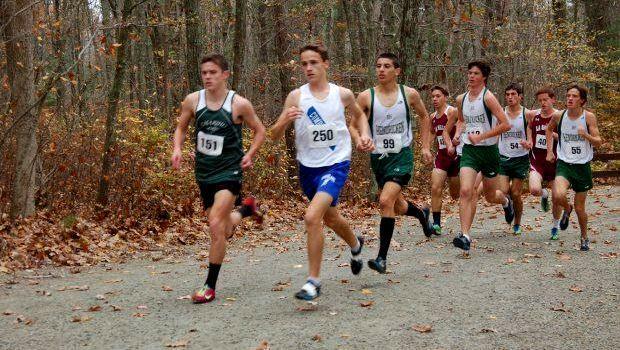 At the 2012 Class A Meet, Cumberland's Trevor Crawley shares the lead alongside Chariho's Bryce Kelley at the mile mark. Crawley won in 15:52.2. Kelly was second. A week later, Crawley would win the individual title at the state meet with Kelley a runner-up again.